It is difficult to keep track of things when you have a busy schedule and as much as you try to be on top of everything, you can miss something from time to time. When you have many different activities and tasks to take care of, it is easy to forget a friend’s birthday, send an email, call your family, or even pay some bills. Thankfully, nowadays, there are many practical apps that can help us to organize our schedule and to make sure that we don’t forget any important events or tasks. Here is a list of convenient solutions for iOS and Android users who need an easy way to remember about the tasks that they need to complete. Remember the Milk has an amusing image, appealing interface and many convenient features for people with a wild schedule. The app will keep track of important tasks, so that you don’t have to. You can get reminders via text, email, Twitter, mobile notifications and more. Your lists can be shared with friends or family to complete tasks faster. The information is synced across your devices and you can keep things organized in the way you prefer. It enables you to save your favorite searches as Smart Lists and it works with multiple services including Google Calendar, Gmail and Evernote. One of the most popular solutions to manage your pending tasks and ensure that you don’t forget anything is Todoist. This comprehensive app will allow you to organize tasks and enhance your productivity. It has a large number of options that allow you to take control over your schedule and keep all the aspects of your life organized. You can prioritize tasks and projects and even create subtasks to make everything clearer and simpler. You can delegate tasks to make sure that you meet deadlines at work, or just to keep your household in order. Millions of users are enjoying the convenience and amazing functionality that Any.Do offers. This incredibly practical app will become your best friend when it comes to taking care of tasks and organizing your schedule. It is easy to use, but it offers impressive performance through a combination of to-do list and calendar. You can sync information in real-time across all your devices. Any.Do will give you reminders for a specific time or when you get to specific place to make sure that you don’t forget anything. It is available for iOS and Android. 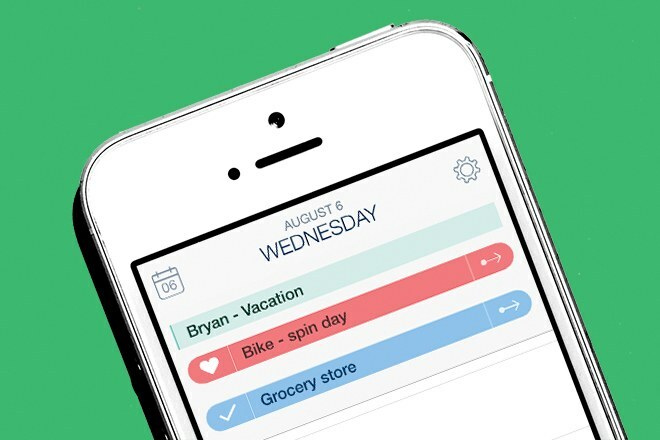 To Do Reminder is an app created by App Innovation and it is designed to make things simple for you. There is a wide list of information that can be added to your pending tasks to make sure that you don’t miss anything. The details that can be included in your reminder list include name, date and time. You can also set the frequency in which you want these reminders to be repeated. It is simple and it will keep you on top of things. The only thing that will forget about with Due, is stress. This app for iOS keeps track of everything that you need to keep in mind. Then it sends you repeated reminders of the items the tasks that are pending until you complete them or confirm that the reminder can be dismissed. It is easy and effective and it doesn’t come with complicated options. You just have to let the app know what it should remind you about and it will make sure that you don’t forget it. With BZ Reminder you will enjoy a practical and flexible solution to ensure that you don’t forget what you need to do. The app allows you to add notes that can be repeated whenever needed. You can make a birthday list using your phone contacts or Google calendar. You can use it to get reminders about tasks that you need to complete regularly or only once. Tasks can be marked with colors for easy visibility. It is available for iOS and Android. Wunderlist is a fantastic option thanks to its convenient functionality and its good design. 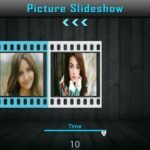 The interface is very appealing and allows you to use all the features without hassle. With Wunderlist you can organize your to-do lists effectively and even share them with friends, family or work colleagues. The app keeps things organized and will help you to manage all your lists in one place. It is ideal for creating and sharing shopping lists with your family, but it also lets you plan projects at work.